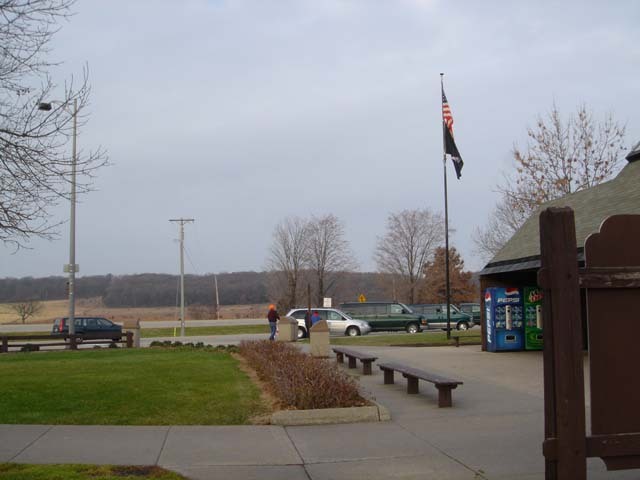 Located 2.5 mi north of cr-CS northbound rest area 90-94 Columbia county WI Coordinates Lat N 43:25':534" Lon W 89:28':635"
Wisconsin has a unique heritage as the birthplace of circuses. 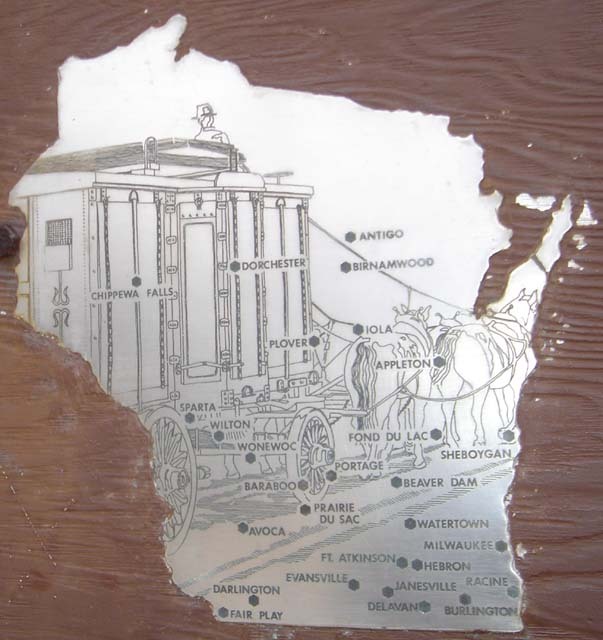 More than a hundred had their beginnings in Wisconsin, with Delavan providing winter - quarters for twenty-six between 1847 and 1894. New York brothers Edmund and Jeremiah Mabie brought their United States Olympic Circus to Delavan in 1847, and the idea i for P. T. Barnum's Asiatic Caravan was developed in Delavan by William Cameron Coup in 1871. In Baraboo the Ringling Brothers' World Greatest Shows began in 1884, followed by the five Gollmar Brothers Circus In 1891. Each of the communities on the map was the home of at least one circus. 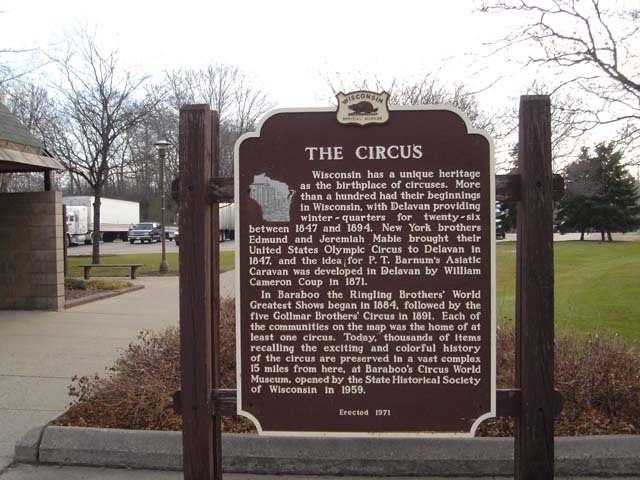 Today, thousands of Items recalling the exciting and colorful history of the circus are preserved in a vast complex 15 miles from here, at Baraboo's Circus World Museum, opened by the State Historical Society of Wisconsin in 1959.